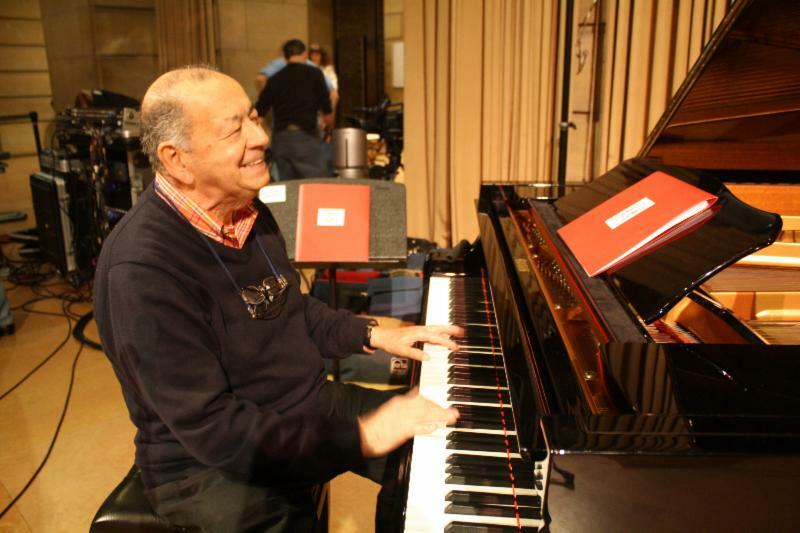 Jimmy Amadie, the celebrated Philadelphia pianist and educator known for his contributions in improvisational jazz theory, passed away on December 10, 2013 in Philadelphia, PA. He was 76. His death comes after being diagnosed with lung cancer in 2007. Amadie was known not only for his supreme musicality, but also for his unrelenting fighting spirit. As a rising jazz pianist in the late 1950s, Amadie toured with the Woody Herman Band, accompanied Mel Torme, and played with some of jazz's greatest musicians including Coleman Hawkins, Red Rodney, and Charlie Ventura (taking over piano duties from Dave McKenna). He led the house band at the Red Hill Inn in New Jersey, and briefly at the Copacabana in New York. But just years into what promised to be an exciting career as a leading jazz pianist, his performing career ended. Hours and hours of playing and practice - Amadie recalled spending 70 to 80 hours a week at the piano - took its toll on his hands. He developed a devastating tendonitis condition, which caused him great pain when he would play. As music critic Francis Davis wrote "his hands simply gave out on him. To understand how this could have happened, you need to know something about Amadie's psychic makeup. He doesn't know when to quit. In the long run, this has been his salvation. But it was also once his undoing." Refusing to quit, Amadie immersed himself in teaching and jazz theory, and went on to become one of the country's leading jazz educators, writing two highly influential books on jazz theory, Harmonic Foundation for Jazz and Popular Music (1981) and Jazz Improv: How To Play It and Teach It (1990). He led master classes at the Berklee College of Music in Boston and at Villanova University in Philadelphia, and taught students in his Bala Cynwyd home (including Kurt Rosenwinkel, John Di Martino and famed TV composer Edd Kalehoff). But he never turned his back on the piano. The physical limitations bestowed on him were no match for his determination to fight through the pain. After seven surgeries and grueling physical therapy, Amadie was able to extend the amount of time he could play. He had only a few precious minutes a day at the piano before the pain in his hands forced him to stop, but he kept himself in shape with what he described as mental exercises, playing tunes in his head, conceiving harmonies and solos note for note in all keys, and constantly analyzing the melodic content of his playing. In 1994, Amadie installed recording equipment and began recording himself at his home, recording a few minutes at a time followed by long periods of rest. This led to his first CD Always With Me, a solo piano recording which took him two years to complete, released in 1995, nearly three decades after he had retired from performing. Eventually, Amadie produced a series of nine CDs, featuring guest performers Joe Lovano, Benny Golson, Phil Woods, Lew Tabackin, Randy Brecker and Lee Konitz. Drummer Bill Goodwin and bassist Steve Gilmore, followed by Tony Marino, completed the rhythm section for Amadie's trio. 44 years after the last time he played in public, Amadie prepared himself to do what was once a shattered and forgotten dream, to play live again in concert. 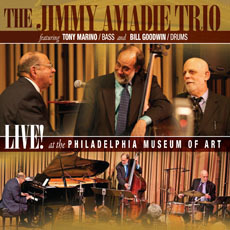 On October 14, 2011, in the Grand Hall of the Philadelphia Museum of Art, The Jimmy Amadie Trio performed a spectacular evening of music. "That was one of the happiest days of my life," Amadie said of the performance, "it was like a rebirth." The concert was released as an album the following August, and was broadcast on WHYY, Philadelphia's public television station. A 30-minute documentary on Amadie produced by Villanova University, Get Me a Fight, was released shortly after. 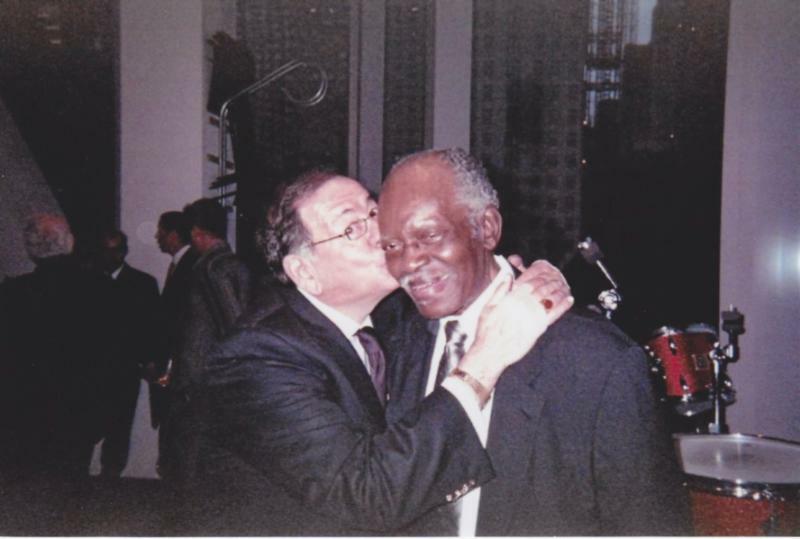 Don Lucoff, Amadie's friend, publicist and neighbor, arranged the Art Museum performance. "Jimmy never underestimated his role as the ultimate underdog competing with other players who did not face the physical challenges that were thrown his way" Lucoff said. "But in the face of impossibility, time and time again, he proved that no matter how hard you hit him in the ring, he always got back on his feet. His life's work is a testament to the unlimited power of the human soul, and what can be overcome in the face of adversity. Perhaps Jimmy's greatest lesson to us all was to always strive for that one moment when we feel alive the most. All the work and dedication by the time we get there makes it all worth it, even if for a little while." "It was inevitable that Jimmy would return to playing and eventually record" according to his long-time friend and former piano student Danny Miller, the Executive Producer of NPR's Fresh Air. "His persistence and obsession with playing - the very qualities which got him into trouble in the first place when he pushed himself to play so many hours - were the qualities that allowed him to claw himself back into playing at a level few other players attain. His playing was eloquent, rich and distinctive. You knew it was Jimmy." Amadie was born on January 5, 1937 in Philadelphia, PA. He was a star athlete as a young man, excelling in football, baseball and boxing. His competitive nature and fighting spirit continued to drive him forward as a musician, and later in life when confronted with injury and disease. Amadie is survived by his wife of nearly 49 years, Lucille Amadie, whose love, encouragement and support enabled him to accomplish his life's work; sister Arlene Marinari and brother Ralph Amadie.